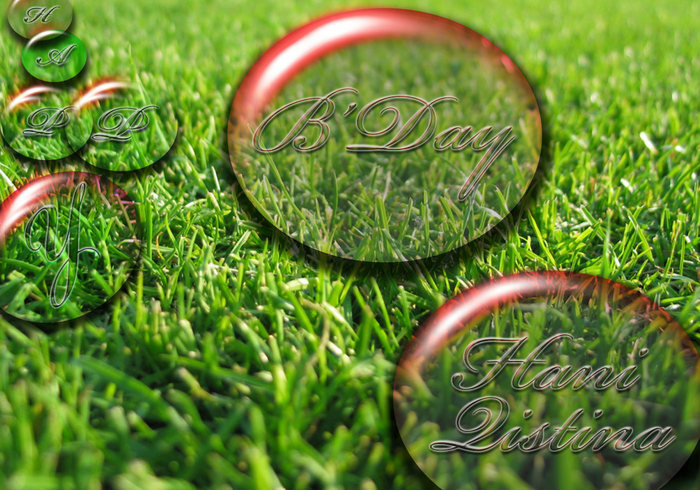 Special Happy Birthday Wish Grass PSD | Free Photoshop PSDs at Brusheezy! Here enclose with one grass psd file. I was make all Layer. You Just need to download this grass psd file. open that psd file and Check each FONT Layer. Just double click on that font and Write your anyone's name & Make them Happy. :) I hope this will Help you for wish someone's birth day.. :) Amen...!